Since 1955, La Maison du Danemark is a cultural institute promoting Danish arts and culture on Avenue des Champs-Élysées in Paris. 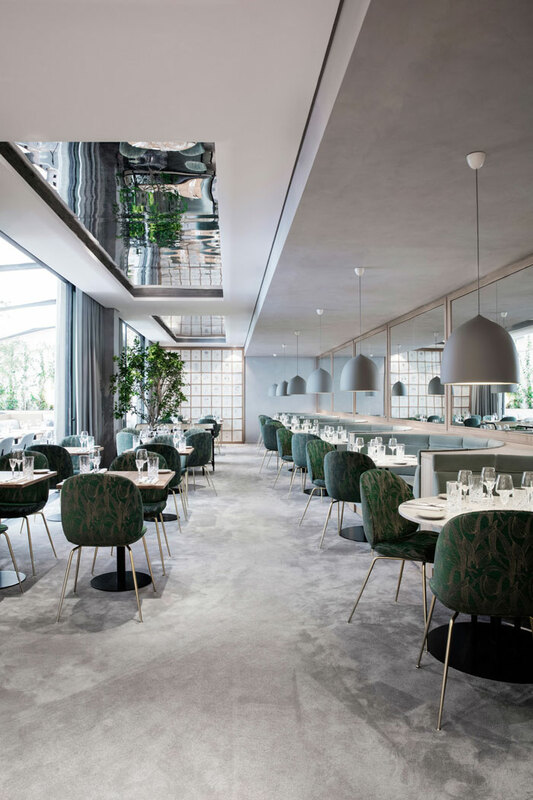 The historical building in which it is located was revamped by Danish-Italian design duo GamFratesi, including two restaurants, one of which is Flora Danica. 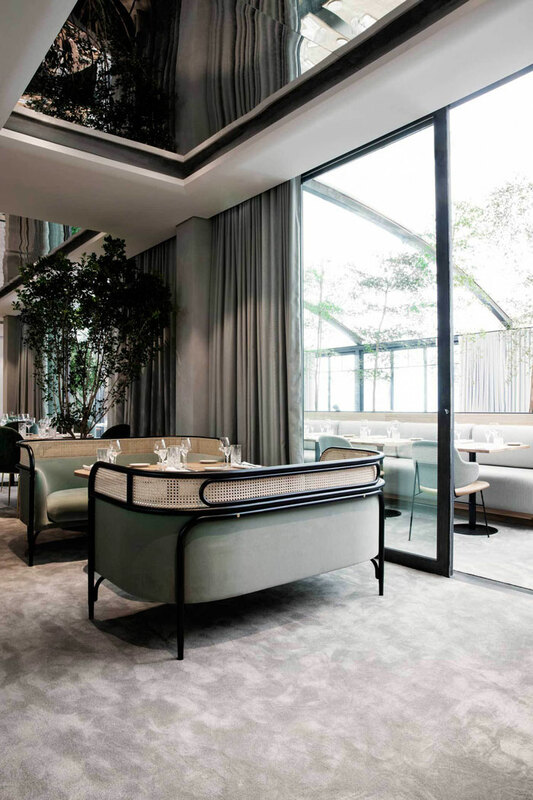 Fresh and bright, with lots of natural light, Flora Danica is a contemporary brasserie with a great mix of contemporary and classic design. 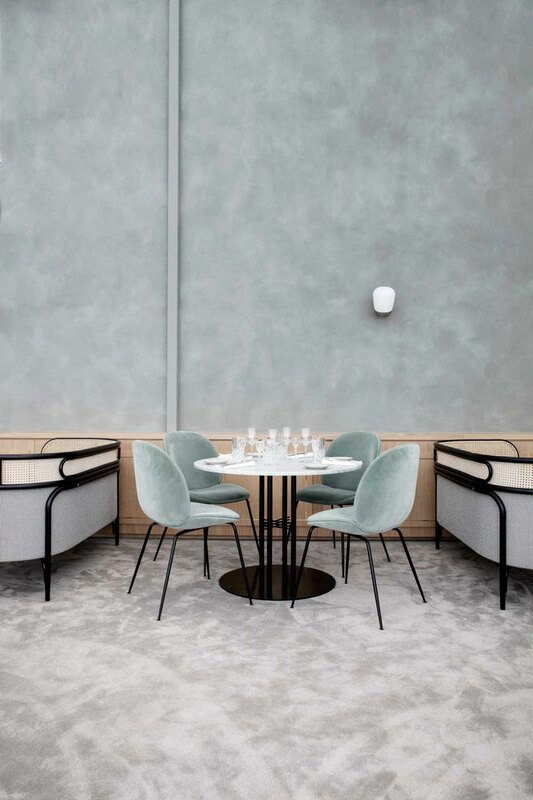 Throughout the place furniture and homewares by several Danish brands and designers such as Louis Poulsen, Frama, Royal Copenhagen, Lightyears, Carl Hansen, and Brdr. 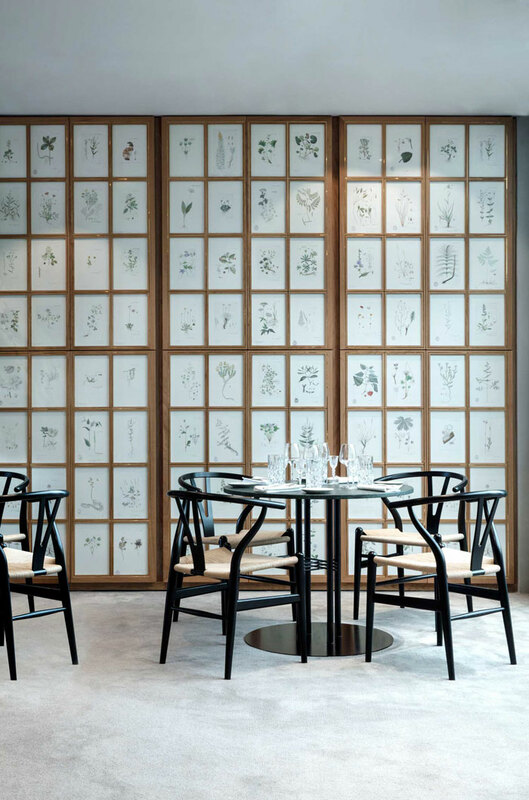 Petersens, as well as GamFratesi’s latest work for Gubi which will be launched at the 2017 Stockholm Furniture Fair. 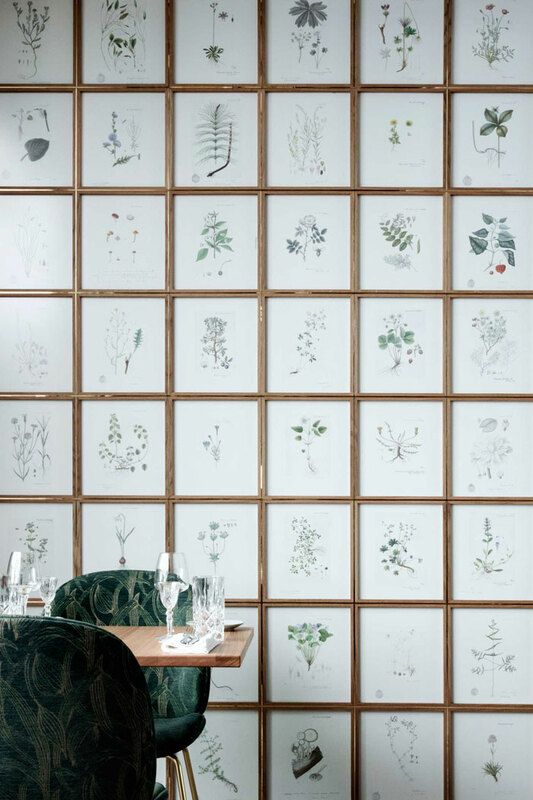 The elegant interior has rich textures, tones of green, traditional Flora Danica drawings on the walls and many plants, evoking a strong connection with nature. 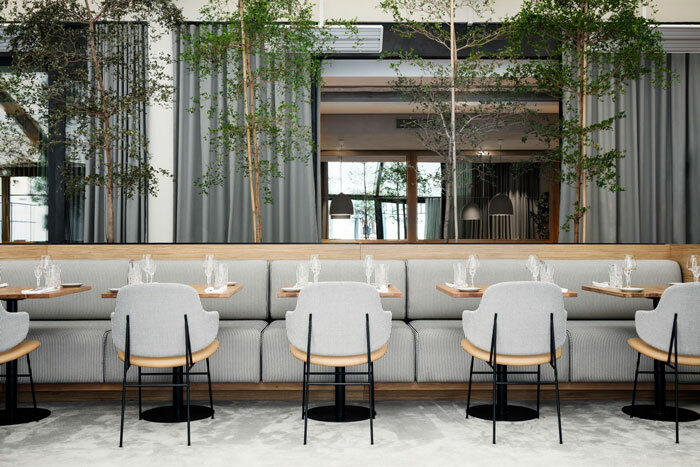 The look is warmed up with natural materials; wooden cabinets and wall panels, and the woven cane, tan leather and straw seats on some of the furniture. 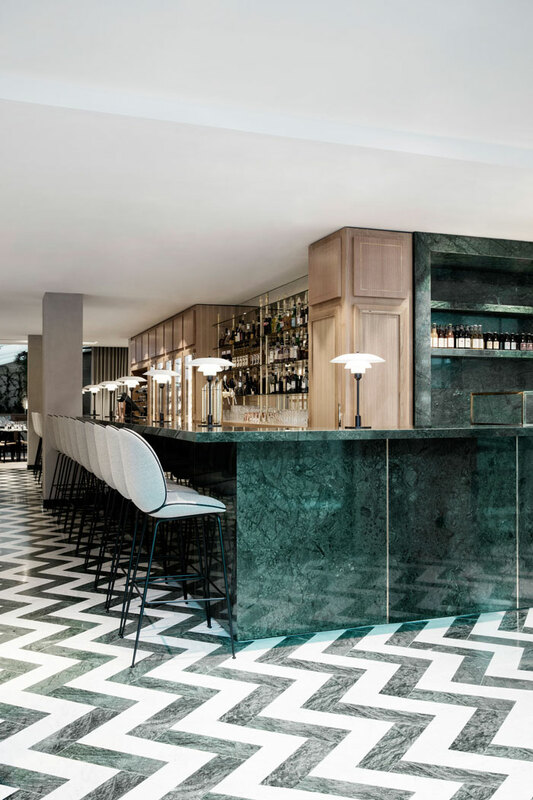 I’m loving the use of green marble for the bar area, GamFratesi’s Targa seaters, as well as the botanical pattern upholstered Beetle chairs. 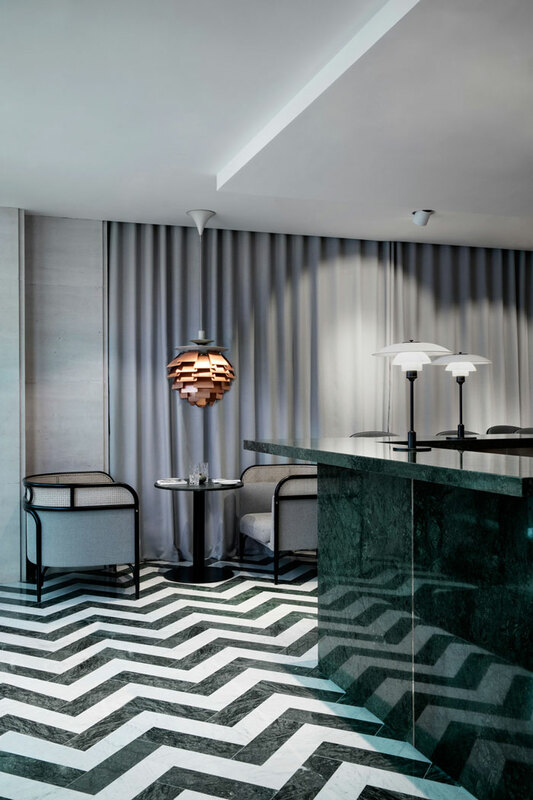 It is such a stylish and sophisticated place, right? 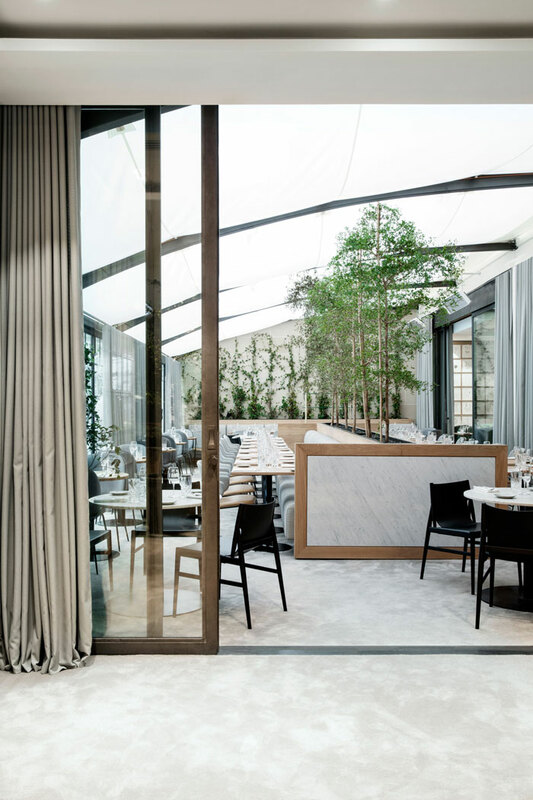 I very much look forward to visiting next time I am in Paris!